Classic ambassador winter hat handmade by top class hatters of real Astrakhan fur. Essential accessory for any fashionable woman. 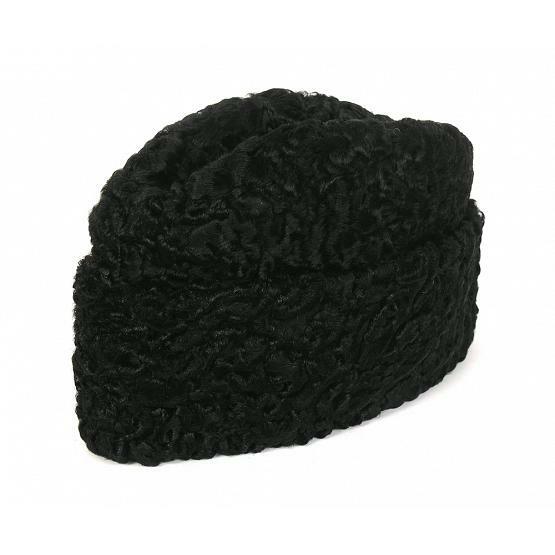 Brimmed and lined with cotton, it is very stylish and warm. Height: 5 3/4 inches (15 cm). Production time: up to 7 business days. Shade of brown and gray may vary.